Henry David Thoreau - writer, philosopher, and teacher - once wrote: "It is not what you look at that matters, but what you see." This famous quote has been brought to life in Ilias' Mountain. Ilias is an ordinary boy, but sometimes ordinary children do extraordinary things. Finding his way in the world, Ilias must conquer the mountain, follow his own path and learn the true meaning of carrying your own weight. 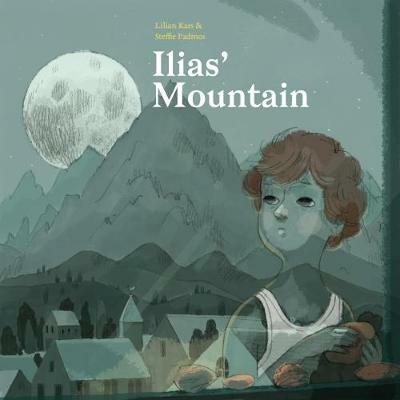 Ilias' Mountain is a story about an ordinary little boy called Ilias who lives with his parents and his little sister Ella in a small village in the mountains. It looks like a very peaceful little town, with a small stream, a town square with a fountain and some nice shops. But Ilias' life is far from peaceful. Ilias often worries he will end up the same as his father - angry and frustrated. However, Ilias is not as ordinary as he seems. He can find a better way. Questioning adults and their traditions, he discovers the key to happiness through his friend and mentor Thomas. Taking Ilias under his wing, Thomas walks with Ilias up the mountain that shrouds the village That walk, their conversation and what happens on the top of the mountain does not only changes Ilias' view, it changes his whole life.